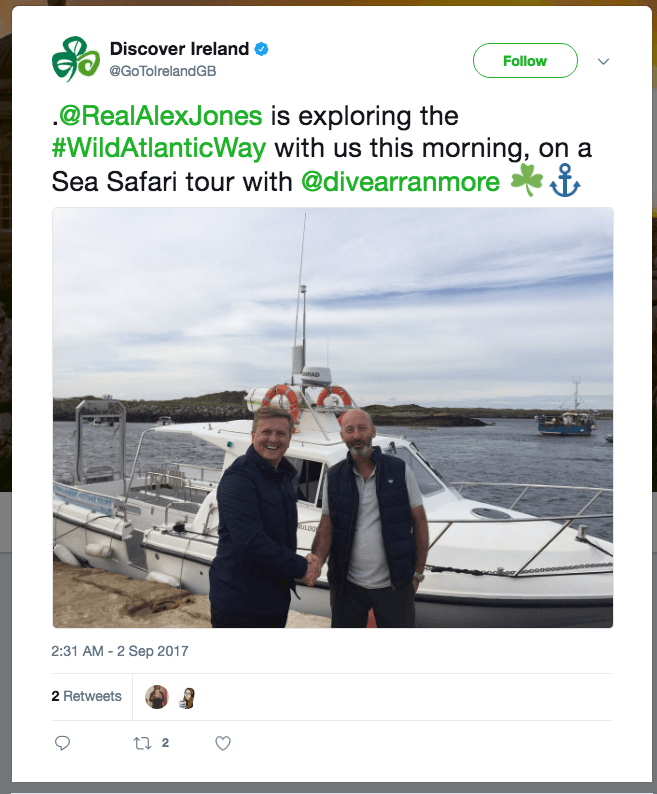 That awkward moment when the official tourist voice of Ireland tags Alex Jones the infamous Infowars conspiracy theorist instead of wholesome Aled Jones. I think there could be something in putting Aled & Alex Jones in a vintage motorbike and sidecar and letting them vlog their way around Ireland for a month. Think Jack Hargreaves with motor bikes, hymns and conspiracy. Working title ‘Out Of Town with the Joneses’. Any TV producers want to sign up to make this?